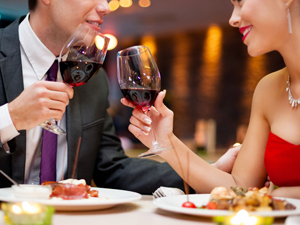 A romantic dinner with your partner: Restaurants are offering good prices, delicious menus, and are well prepared for this day, offering live music, incentive games for couples etc . People prefer restaurants outside Tirana for dining as: Iluminatum, Dreri, Paradise, Prince park, Xibraku, etc, while some classic restaurants with fine italian cuisine are in walking distance from center of Tirana like: Delicatezze Di Mare, Melograno, Ottium, L’Amor, and traditional one like Era, Oda, etc. Hotels themselves offer very competitive packages with discount prices for stays on that date, combined with dinner and relaxing packages (sauna, massage et). Hotels with good offer are : Sheraton, Rogner, Theranda hotel, Xheko Imperial etc. Traveling, if you want to spend an weekend, there are packages from travel agencies with very good prices for a St Valentine day. Flowers are the most important and popular gifts, and Albanian women loves them, parfumes, rings and other jewelries, watches, but even dresses or shirts for men or tailored hand made gifts. Stroll through the streets of Blloku. It is full of bars, night clubs and shops. It's the favorite place of youth. 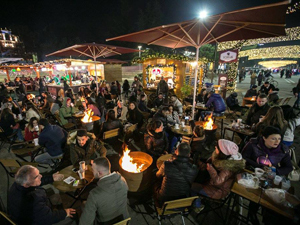 Blloku is the former exclusive neighborhood of the Communist regime and is currently the hub of cafe culture in Tirana. Having a coffee in that area is like in any other European modern city. Take a hike in the park. Tirana big park in the artificial lake is one of the main attractions of Tirana, the capital of Albania. Despite many buildings around, it remains one of the most relaxing places of the capital. There are other points of interest in the park, including the Saint Procopius Church, memorials, statues. Read or work at the Friends Book Store. There are few book stores, where you can read, work on your project and drink a warm coffee in Tirana. For me Friends book Store is like a warm house. Visit a live music bar. The bars and restaurants in Tirana are very modern, colorful, well designed and always full of young people. The music played is Albanian, Greek, and international. You can drink a cocktail and dance until morning. Have a coffee on the terrace of Tajvani complex or any of the other terraces. Even in the winter, in Tirana most of the days are shining. You can stay outside to have a coffee, taking the sunlight. Drink a cocktail at Sky Tower. It’s a big building in the entrance of Blloku area. 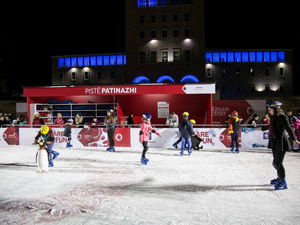 From there you can have the best views of Tirana by day and night, 360 degrees of your sight. Eat an Albanian dinner at Pizzeria Era. The best Albanian food you can find and taste. 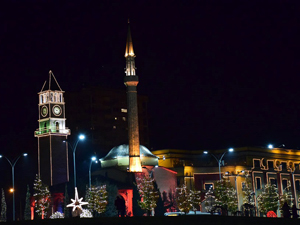 All the time I visit Tirana, I go there, and never been deluded. Go up to the top of Dajti mountain. A visit to the Dajti National Park is a great way to spend a day in an attractive mountainous landscape outside and literally ‘above' the city. During the winter, the mountain Dajti is a popular retreat for locals, who seldom get a chance to see snow. 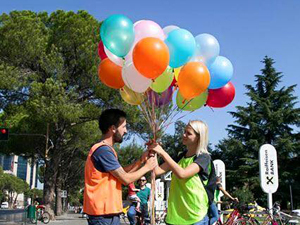 Visit Bunkart, the latest addition to Tirana’ s attraction. For the first time, almost 25 years after the fall of communism, the government opened the nuclear bunker built by the communist government for sheltering the leaders. Bunkart museum can be combined with other points of interest of socialist time, and can really make be a wonderful tour.